It’s easy to get a good mix going if you have a set idea of what you’re trying to accomplish. Going from one action to another can quickly create a chaotic mixing situation. You might start out doing levels, then switch to panning and then think about some distortion tips you want to try. Then all of a sudden you don’t really know where your mix is going. Going from one thing to another without any real road map isn’t really dangerous or anything like that. Mixing is never “dangerous” but it’ll eat up your time. Instead of bouncing from one music mixing idea to another, follow these tips here below and you’ll be well on your way to that mix that’s in your head. I’m a big believer in the Pareto Princple, where 80% of the results come from 20% of the effort. The 5 things below are the typical 20% of things that will get you really close to your ideal mix. You can’t have your tracks all over the place. You can’t have all your tracks at the same volume either. Balancing the volume of your tracks is the fundamental starting point for every mix. A clear balance is almost half the work, especially if you’ve got great sounding tracks. You need to keep the elements in the mix at a steady and balanced level, without abnormal level changes popping out all over the place. Pushing up the faders and getting a balanced mix is the first order of business after you’ve recorded and edited your tracks. EQ and Compression, although extremely important, don’t help at all if your balance is out of whack. That’s why I usually spend more time getting the exact levels of each track right before I even touch any processing. Just moving the faders around should get you very close to a rough mix. Sure, you’ll obviously have to do some additional mixing but if you get the balance right from the start it makes the rest of your mix easier and more fun to do. 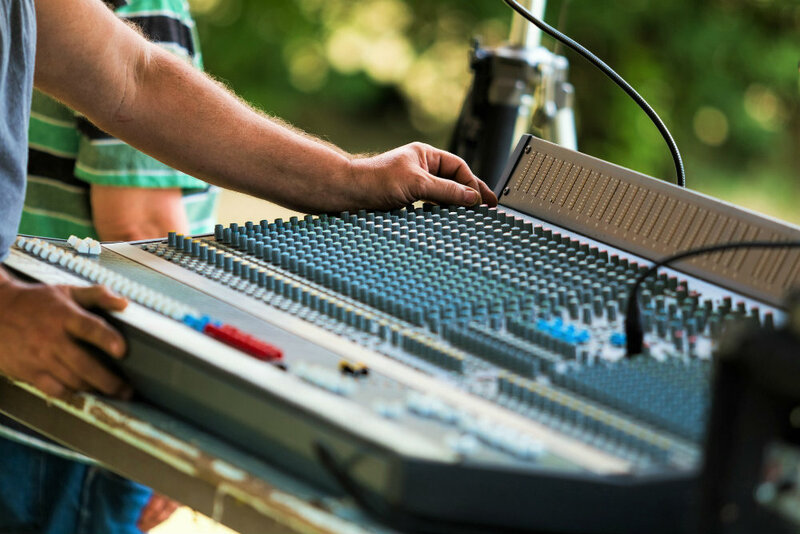 Of course, balancing the faders isn’t a one-and-done thing you do at the start of the mix. Rebalancing as you add compression, EQ, aux sends and effects is essential to keeping the balance you had before. All the processors add or subtract gain to your signals so you should take that into consideration as you’re adding your plug-ins to the mix. But as long as you spend an extra 20 minutes on balancing at the start, you might save yourself some time down the line. Stereo is important. You don’t want all of your tracks fighting for the center. For instance, panning out the drum-kit is an important way to expand and establish the stereo spectrum. If you have all sorts of different elements and instruments, you need to find a place for them in the stereo spectrum. Pan everything around until you’ve found a good balance. Keep in mind that you don’t want to tip the balance of instruments too much to the right or left either. Instead, try to find a good equilibrium and balance between the left and right speaker. A good way to do this is actually to keep things in mono and pan that way. You’ll find it easier to create separation in your instruments if you don’t have to listen to your pans in stereo. Counter-intuitive? Maybe. But it works. Panning in mono gives you a different way of placing the instruments in your mix. Because you’re not really panning in the stereo field anymore since you’ve flipped your mix to mono, but you can definitely hear a difference in the separation of instruments by doing it this way. EQ is your first mixing tool after leveling and panning. Equalization is an incredible useful tool for enhancing the sonic colors of your instruments. 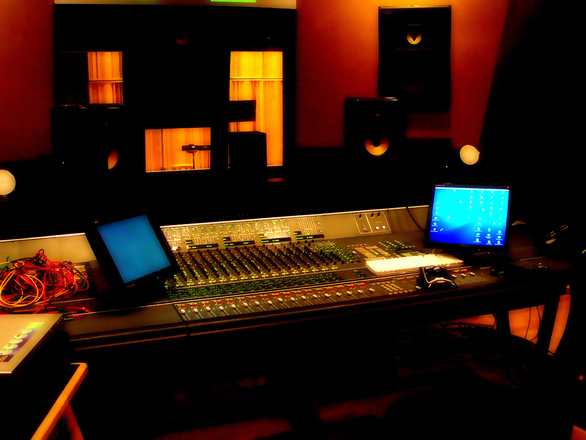 Cutting out unwanted frequencies and boosting the fundamental characteristics of instruments is what EQ is all about. Use filters and shelving together – Sometimes you don’t want to filter too drastically, but you need to get rid of more lows or highs. Filters and shelving cuts work wonders together. Use low-pass filters and add a resonant boost – Try it on guitars. Filter the highs all the way down to the high-mids, then add a boost right on the cut-off frequency to make them poke through the mix. Try to keep your boosts minimal – Subtractive EQ and all that jazz. If you cut more and just raise the volume, you’re essentially boosting the frequencies that are left intact. Try to use buss EQ first – I love grouping instruments together into busses and EQ’ing them that way. It can mean a lot less work on the individual tracks if all your groups are sitting together in the mix. Also EQ your effects – If you don’t filter out the low-end of your reverb returns, chances are you’ll end up with a very muddy mix. Always slap an EQ on the reverb or effects channels, or use the built-in EQ if your effects come with them. Think before you EQ – Think about how many instruments the mix has, then try to divide them into the frequency spectrum before you start EQ’ing. If the bass is the thickness and you’ve DECIDED that try to keep to it. Some instruments should be bright, some should not. If you analytically think of it before EQ’ing you might save yourself some time.